Form meets function. 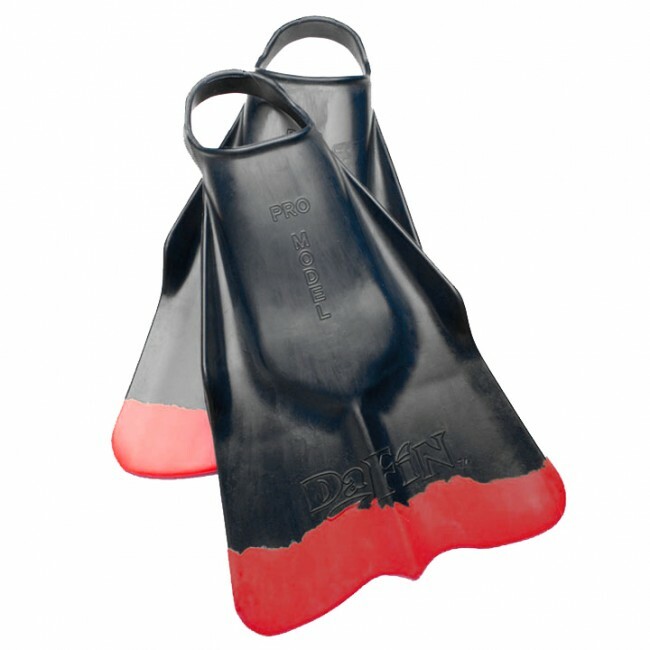 DaFiN Swim Fins are the #1 choice of lifeguards, bodysurfers, and top watermen around the world and is standard issue equipment for more than 60 municipal lifeguard and surf rescue agencies in the USA. Developed in Hawaii with input from world-renowned pros such as Mark Cunningham and Brian Keaulana, DaFiN was granted a U.S. Patent for its original design. 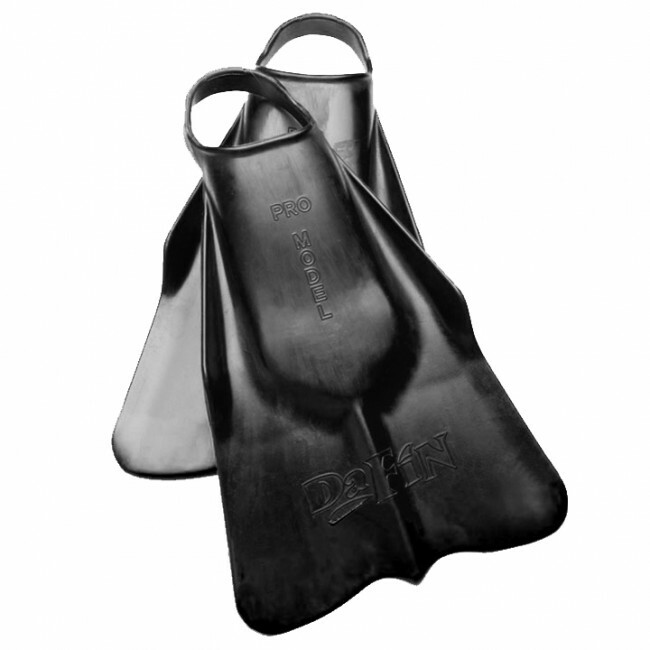 DaFiN combines unparalleled comfort with exacting construction to create a swim fin that performs under the most extreme conditions. 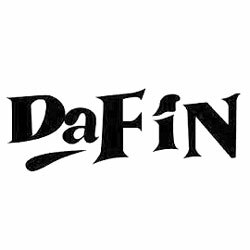 The side rails --- the “strakes”--- on DaFiN are rock solid but run only about halfway down the length of the fin where they angle back to the blade. This forces the fin to flex right at this critical point. 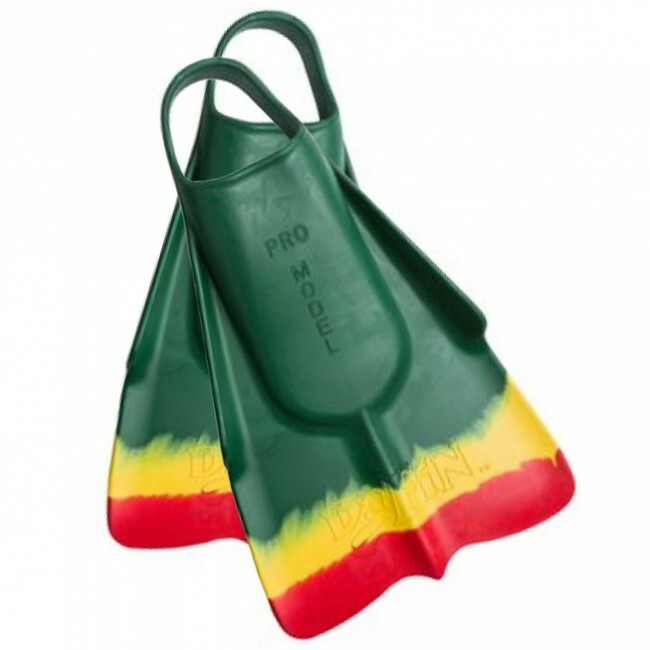 The raised V-shaped foot pocket combined with a stiff blade working together at the point of flex creates the maximum acceleration of the water flowing over the fin surface resulting in more thrust per kick with less effort. For such a powerful fin, it is unusually light in weight. DaFiN floats in the ocean and there is no right or left foot difference so DaFiN can be worn on either foot. 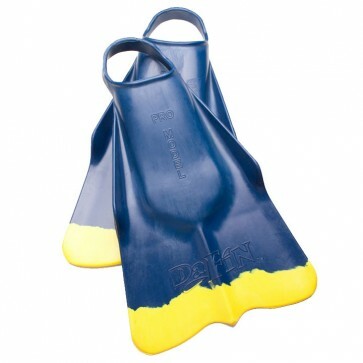 Balanced double density rubber for the perfect "snap"
The medium fit nice. I have a high arch but was able to slid into the fin once they got wet. Like the travel bag you sent, that was a surprise. Yo homies with foamies, dogs with logs, and blade crusaders, if you ever wanna ditch your board and paddle out au-natural, stuff yourself into a heaving green monster that's pitching and throwing and you're throated so deep that the chandeliers are raining hard, or maybe dial into a mutant, charging hard into where the hobbits dwell, and get spit out onto the flat dripping with positive ions, then these flippers will work pretty well, actually. Very happy. Will shop with you again.